One Piece Flow is one of the key Four Principles of kaizen that we implement – and nowhere is establishing this more important than in supplier integration. Efficient, integrated supply chains are fundamental – not just to getting products to market fast, but to getting them there faster than one’s competitors. Lean supplier integration shifts the focus away from a silo mentality to a shared vision – a collaborative mindset that does away with “us and them” and replaces it with the united and mutually beneficial goal of delivering a product or service to the customer with optimised efficiency. One piece flow relates not just to the transit of components or raw materials through the supply chain, but also the flow of information, so all stages of the process are aware of the needs of their counterparts. This enables reduced stock levels, minimised lead times and a decrease in the unnecessary movement of stock between customer and supplier. Another aspect of Lean supplier integration is agility. This refers to the ability of different tiers of the supply chain to respond quickly to changing market and demand conditions. An agile supply chain is also one that is shorn of unnecessary processes that waste time. The reduction of double work such as inspection deliveries is a key contribution to a swift, agile process – naturally by successfully implementing a zero defects mentality to upstream stages, the need for repeated inspections is removed. Again, the foundation of this is a shared mindset where trust in the other tiers of the chain is implicit because of the quality criteria that Lean brings with it. 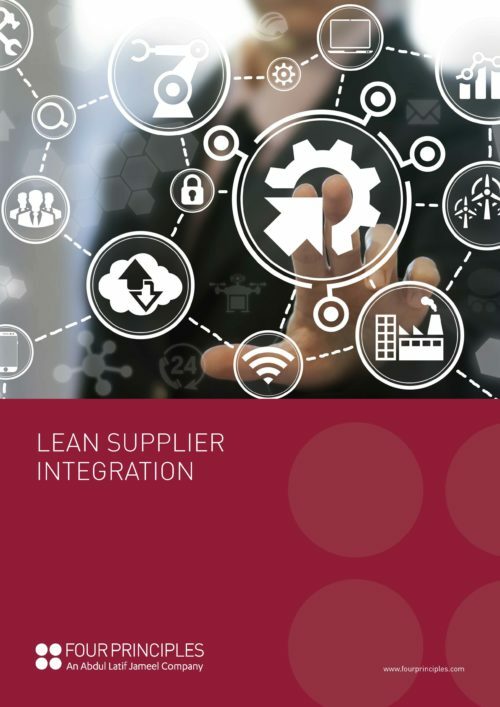 Rationalised costs, timing and quantities of deliveries form the foundation of a Lean supply chain, where all parties are truly integrated, open and transparent. Issues are then dealt with in a collaborative manner, enabling swifter resolution and a more joined-up, efficient supply chain.